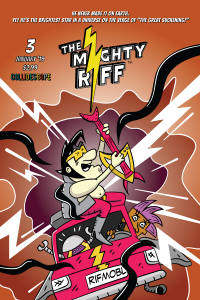 The Mighty Riff™ is now available digitally at DrawMeInComics.com ! Swing on by for Rifftastic, tacky as all hell fun! Big Adventure Fest Appearance Official! I’ll be tabling The Mighty Riff at Big Adventure Fest in Costa Mesa, CA this coming Nov 3rd and 4th! 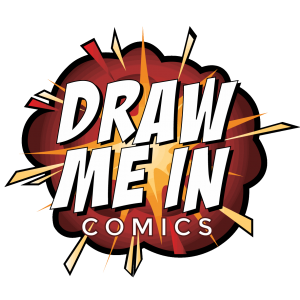 Drop by for exclusives, autographs, art prints and/or a fun chat! Issue #2 Digital AND Print NOW AVAILABLE! Cocky after defeating Drooping Molly’s minion Bea Bouncé, The Mighty Riff™ and crew face devastation from a steroid-infused electro freak in Wünder Brëd. An epic clash ensues on The Foggy Moon, home of black metal bunny band and wild card – Beatrixxx Potter! LONG BEACH COMIC CON 2018! RAWK! Come join us at the Long Beach Comic Con Sept. 8th and 9th! Both myself (Brian Coles) and Derek W. Lipscomb will be there! Enjoy a friendly chat with a couple geeks! Also, special deals and giveaways!